Hello! 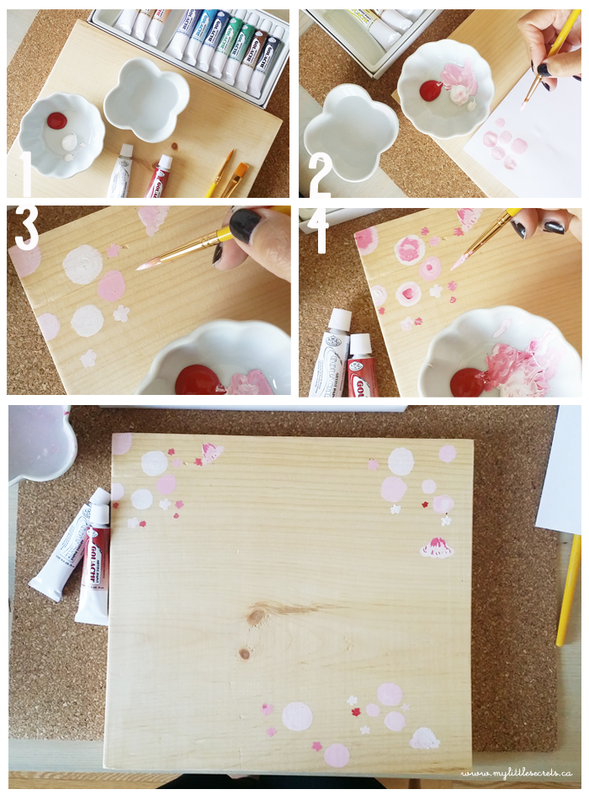 I’m so excited to be sharing this new DIY necklace/jewelry display project with you! Its such a pet peeve of mine when my dainty necklaces get all tangled and knotted in my jewelry trays. I was determined to create a necklace organizer that would solve this annoying problem, I’m sure you’ve also encountered. Who wants to sit there and untangle necklaces when you’re in a rush to head out the door? 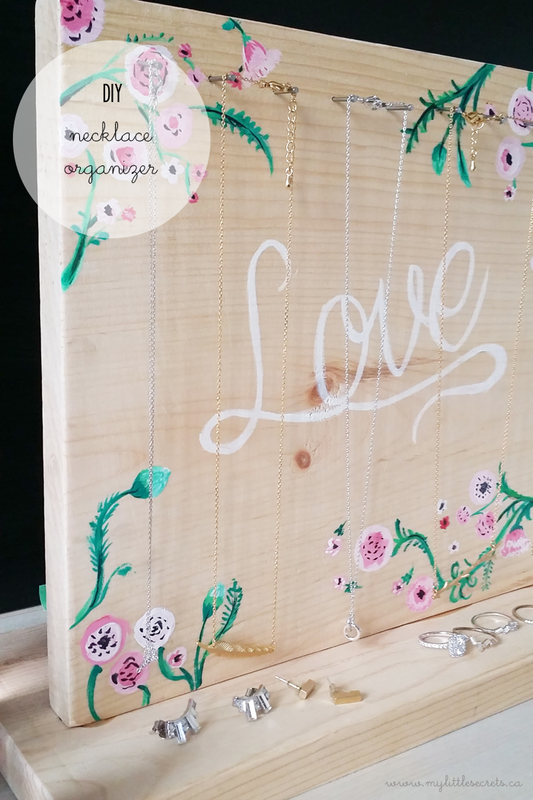 I decided to create this necklace organizer with two things in mind – functional and beautiful. 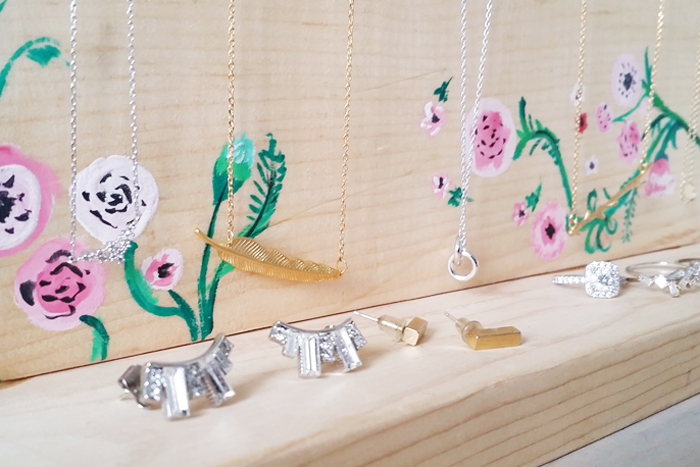 How do you organize your dainty necklaces? By the way, isn’t this collection of dainty necklaces gorgeous? 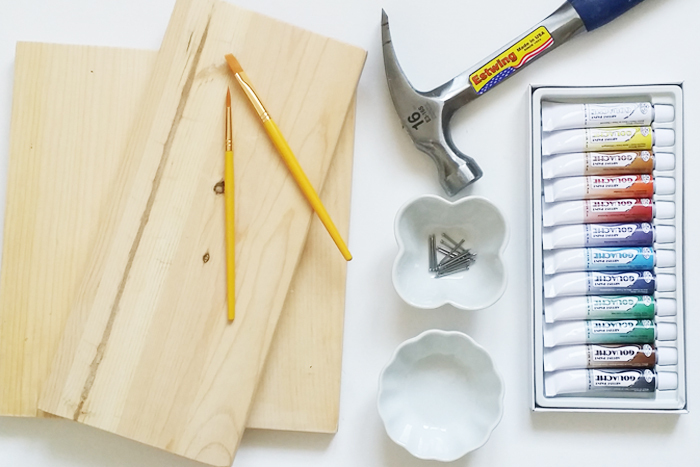 Thanks to Shop for Jayu for inspiring me in creating this super simple and functional DIY jewelry organizer project! Isn’t this gorgeous?! I’ve decided to leave some extra space on the base to place my earrings and rings as well. This is the first time I tried water color, I have a feeling I’ll be working on more water color related projects, I find the painting process SOOOO therapeutic. 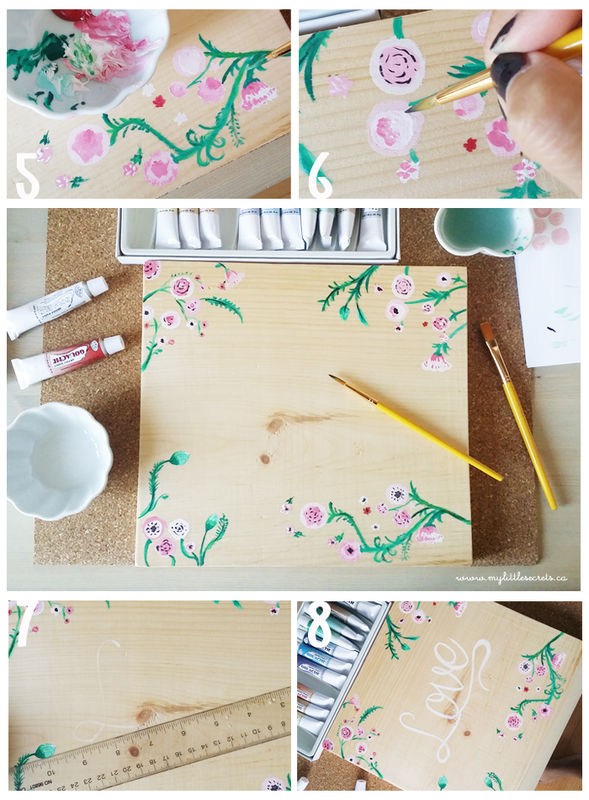 Also, I decided to omit step by step instructions this time and let the photos tell the story, what do you think? If you have any questions at all on the step by step process, please feel free to leave me a comment, I’m more than happy to answer them! I’ll be sharing 2 more DIY projects on organizing your jewelry … and there may or may not be a Shop for Jayu giveaway at the end 🙂 so stay tuned! Such a great idea and it’s adorable too! This is ADORABLE! Always looking for new ways to display jewelry and this is absolutely perfect! It’s lovely! 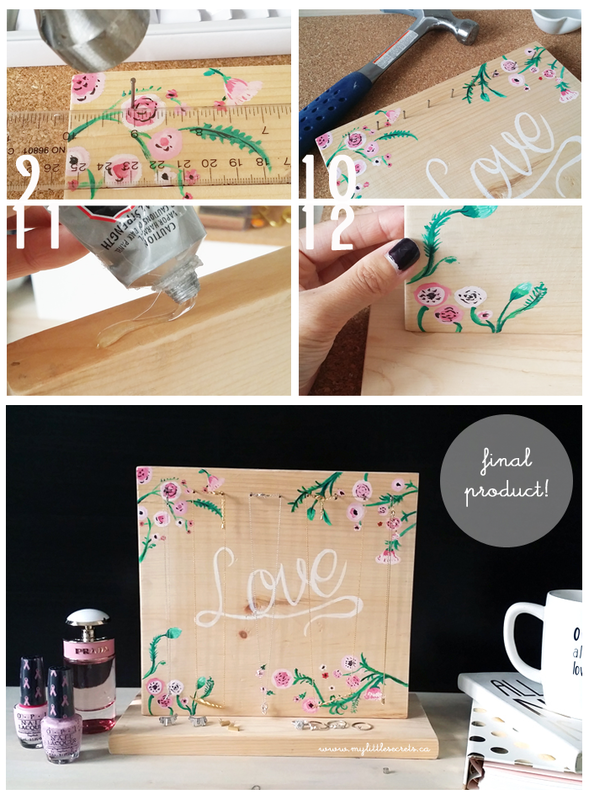 Another alternative to hanging off nails, if you’ve got a drill, would be those cute cabinet knobs from Anthropologie, or even Ikea!